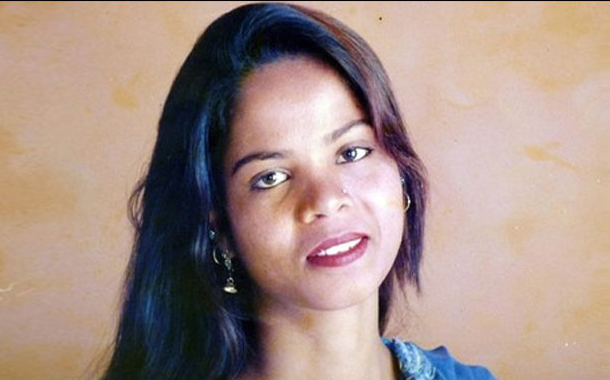 ROME: Italy said on Tuesday it would help a Pakistani Christian woman, Aasia Bibi, leave her country because her life was in danger following charges of blasphemy that put her on death row for eight years. The Supreme Court had acquitted Aasia Bibi last month, but the decision sparked mass protests and her husband, Ashiq Masih, says they could be killed by those opposing her acquittal. Authorities have indicated they may bar Aasia from travelling abroad. “I want women and children whose lives are at risk to be able to have a secure future, in our country or in other Western countries, so I will do everything humanly possible to guarantee that [for Aasia],” Deputy Prime Minister Matteo Salvini said. “It is not permissible that in 2018 someone can risk losing their life for a … hypothesis of blasphemy,” said Salvini, who is also interior minister. Italy is working discreetly on the case with other countries, he told an Italian radio station. In the interview with the radio station, Salvini was asked to respond to Aasia’s husband’s appeal. Soon after the Supreme Court verdict, the Tehreek-i-Labbaik Pakistan (TLP) blocked roads in major cities of the country for three days, condemning the judges who acquitted Aasia Bibi, Prime Minister Imran Khan and the army chief. The TLP called off the protests after striking a deal with the government that could bar Aasia from leaving the country and open a review of the judgement. Aasia’s lawyer Saiful Mulook fled to the Netherlands because of fears for his safety. Two prominent Pakistani politicians who spoke out in Aasia’s defence were assassinated in 2011. Deputy Prime Minister Salvini said Italy had nothing against the Pakistani government. “The enemy is violence, extremism and fanaticism,” he added. Ashiq Masih and one of the couple’s two daughters met Pope Francis at the Vatican in February and participated in a demonstration organised by the ACN in which Rome’s Coliseum was lit in red to bring attention to the woman’s plight. The group plans to dye parts of the Grand Canal in Venice red at another demonstration this month.